Home Outfit Post Eyes on a glorious 2014! Eyes on a glorious 2014! We had been blogging for less than 6 months when we entered, what has been an incredible 2013! Let us tell you why! From being two girls experimenting with their love for fashion and all things nice, to being nominated and voted by all of you as the Cosmopolitan’s best fashion bloggers of the year, we have come a long way. We are so grateful for the love and support from all of you! The best moments have been reading those little notes asking for advice & fashion recommendations and every like / comment of encouragement has been heartwarming! That and the amazing & talented entrepreneurs and designers we have met through this venture, took us a step closer to our dream of building a fabulous fashion community! So thank you 2013 and all you lovely people. Here is wishing you love, health, happiness, laughter and success in 2014! Before we sign off, here are some of our favorite posts of 2013! http://modaninja.com/2013/10/23/2345/ – The NH7 weekender has become a sort of an annual ritual for us. This post is a sneak peak at our looks at the music festival! http://modaninja.com/2013/10/30/2361/ Aztec was big in 2013 and Sneaky sure knew how to wear it! http://modaninja.com/2013/09/24/gold-butterflies/ When not experimenting, Cheeky likes to keep things simple yet stylish! http://modaninja.com/2013/03/31/spotting-moda-ninjas-at-lakme-fashion-week-13/ Our first Fashion Week and spent time between shows, networking and spotting Moda Ninjas! http://modaninja.com/2013/09/14/club-style/ – follow the hashtag #mnspotting, where we cover ladies and something men in latest trends across the cities we are in! Hope you guys enjoyed following the blog as much as we enjoyed putting posts together! 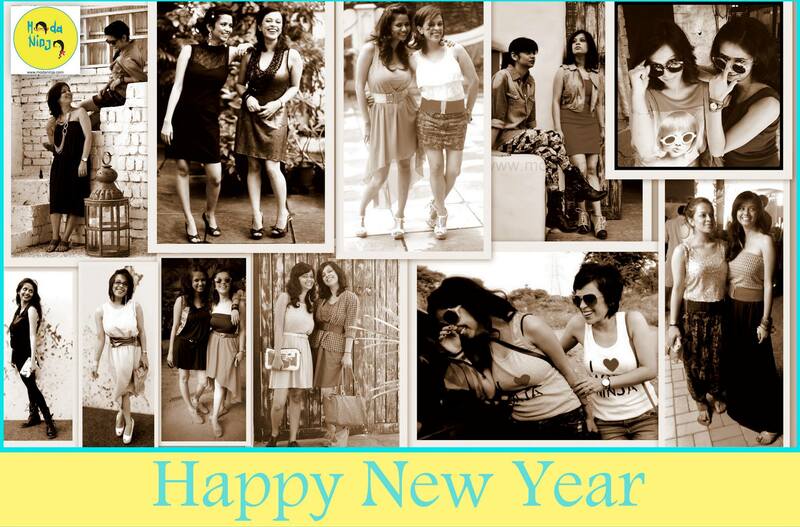 Wish you all a stylish 2014! Keep coming back 🙂.